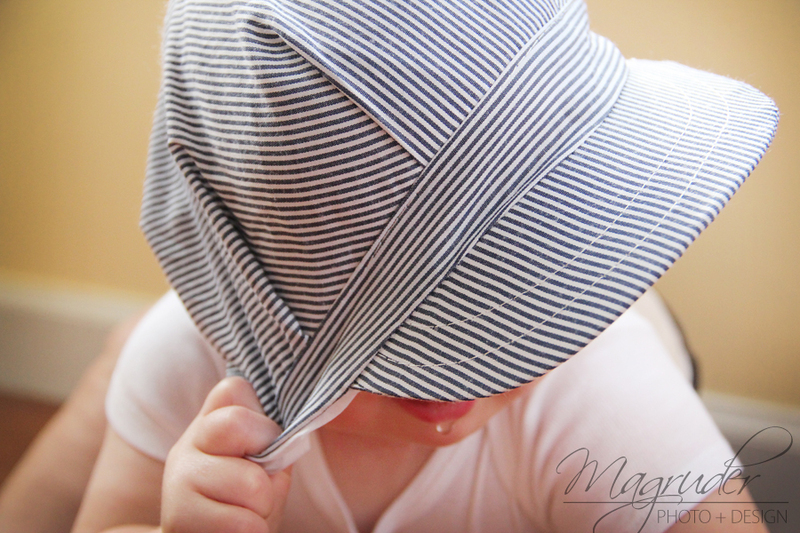 For Connor's 9 month photos I decided to have a little fun with a striped conductor's hat. Despite the pictures, Connor was not too thrilled with the hat. It became a little game to see if I could snap a quick photo or two before he could rip it off again.